Pure Spa Direct Blog: Spa Retail: What’s Trending is $70 – and REALLY WORKS! Spa Retail: What’s Trending is $70 – and REALLY WORKS! 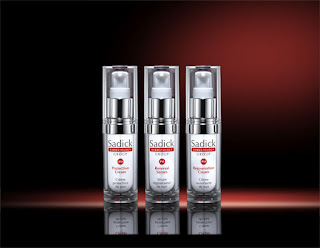 Pure Spa Direct is so excited to be the chosen world distributor of Dr. Sadick Skincare. Previously exclusive to Sephora, Pure Spa has the exclusive opportunity to offer the Sadick Park Avenue Prescription products, wholesale to beauty professionals. This is an exciting opportunity for Spa, Salons, Estheticians and Dermatologists to be able to retail this blockbuster trio to their clients at an exceptional price. 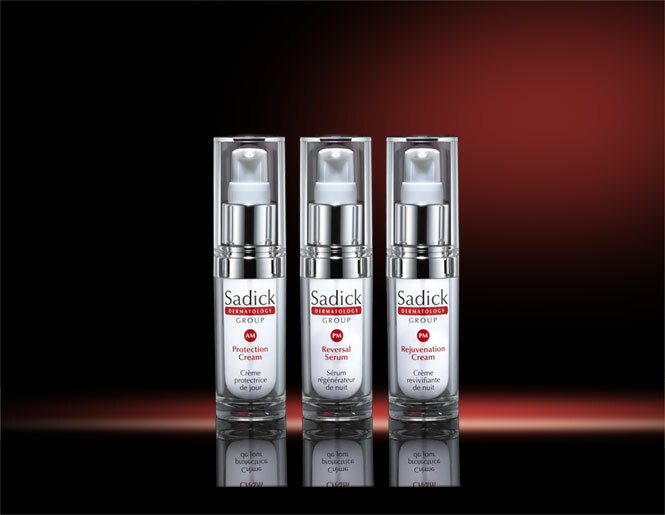 For over 25 years, Sadick Dermatology has developed professional strength skincare exclusively for their Park Avenue and Great Neck patients. Known to insiders as "The Park Avenue Prescription" this unique trio of products delivers a three-dimensional, structural approach to photo-aging and skin health is now available. Developed by Sadick’s panel of dermatologists, skincare experts and clinical researchers, they've combined the best scientifically-tested ingredients with decades of expertise and research. Skin care clients on Park Avenue have the same anti-aging questions and concerns as yours do. Dr. Sadick understands how the skin ages, and how to keep it looking its best. When all three products are used together, this clinically proven approach to skincare addresses all visible signs of aging to help prevent and reverse environmental damage. 1) $$$$. We hear from Spa & Salon owners all the time – and we understand you are TIRED of stocking dozens of retail SKUs at ridiculous retail price points and low margins. Clients are not as receptive to trying $150+ creams or serums as they once were. Clients want results, and a price point that is reasonable. The Sadick Park Ave Prescription Kit (3 products) Retails for $70. That’s less than most spa retail eye creams! Best of all, seriously visible improvement is seen in the skin in just 28 days! All clients want results! 2) Media Exposure. This line WORKS – and the media is taking notice with a big spotlight on the Sadick Park Ave. Prescription! The 3 products have been featured on The Doctors, Fox News, InStyle Magazine, TODAY, Prevention Magazine Beauty Awards, CBS. O Magazine, to name a few! 3) Brilliance behind the brand: Who is Dr. Sadick? I bet you know who Dr. Sadick is, even if you do not recognize his name! If you have heard of Retin-A or low-dose antibiotics for acne, Rogaine or Propecia for Hair Regrowth, Latisse for eye lashes, Restalyne, Juvederm, Sculptra, Radiesse, Botox, Dysport, IPL and lasers used for hair removal OR rejuvenation, Fraxel - then you have heard of a treatment that, in part, came from Dr. Sadick's research. Dr. Sadick is one of the world's most respected dermatologists, and holds 5 board certifications in internal medicine, dermatology, cosmetic surgery, hair restoration surgery, and phlebology. Dr. Sadick was also the Global Medical Advisor for Christian Dior, and has been involved in product formation for global companies including Avon, L’Oreal, La Prairie, and Estee Lauder. Our spa needs to get this -- we have so much overpriced and confusing brands, I think it will be great to simplify with something easy and affordable that works.